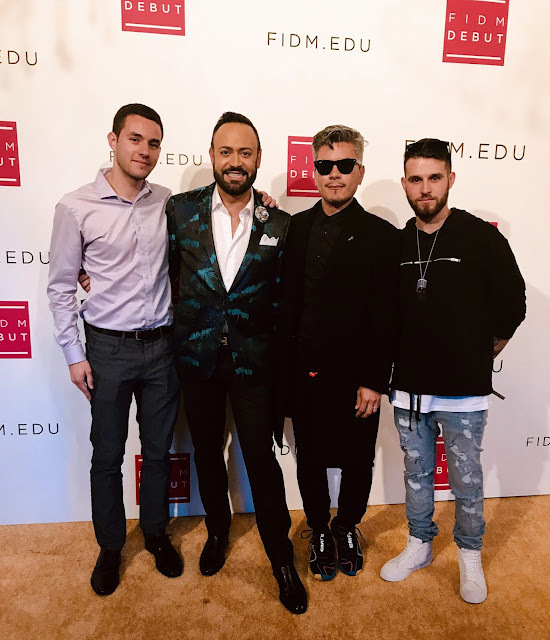 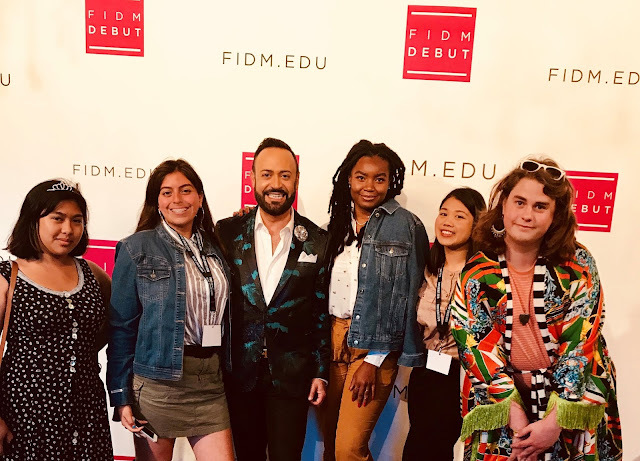 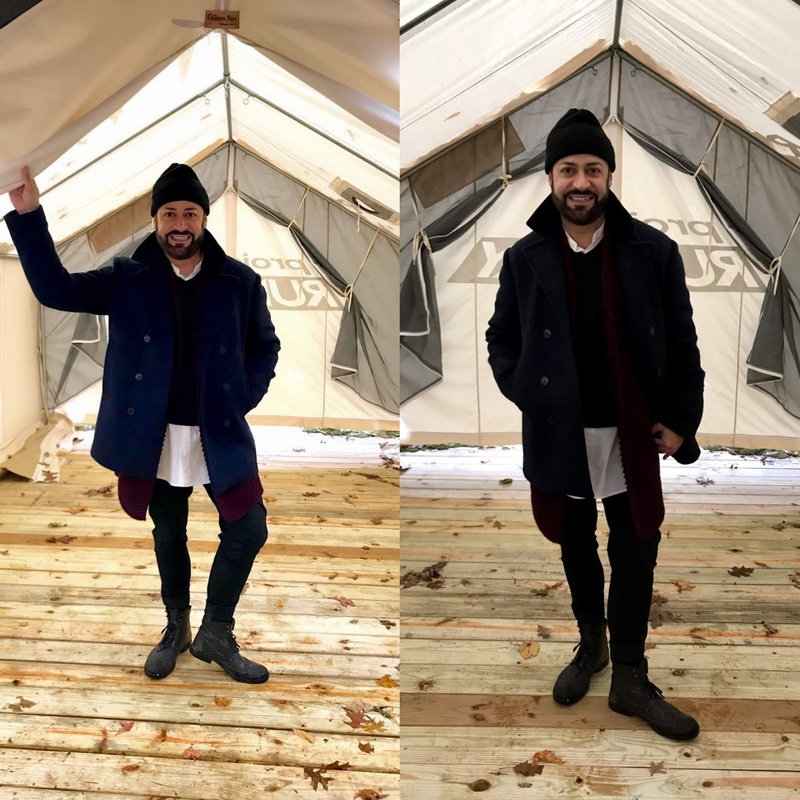 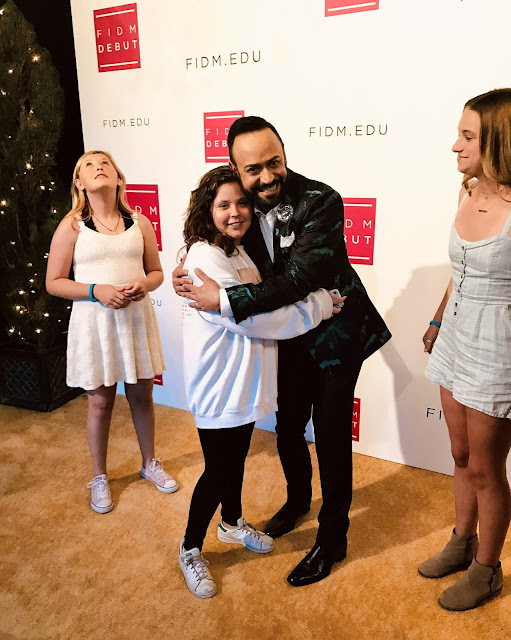 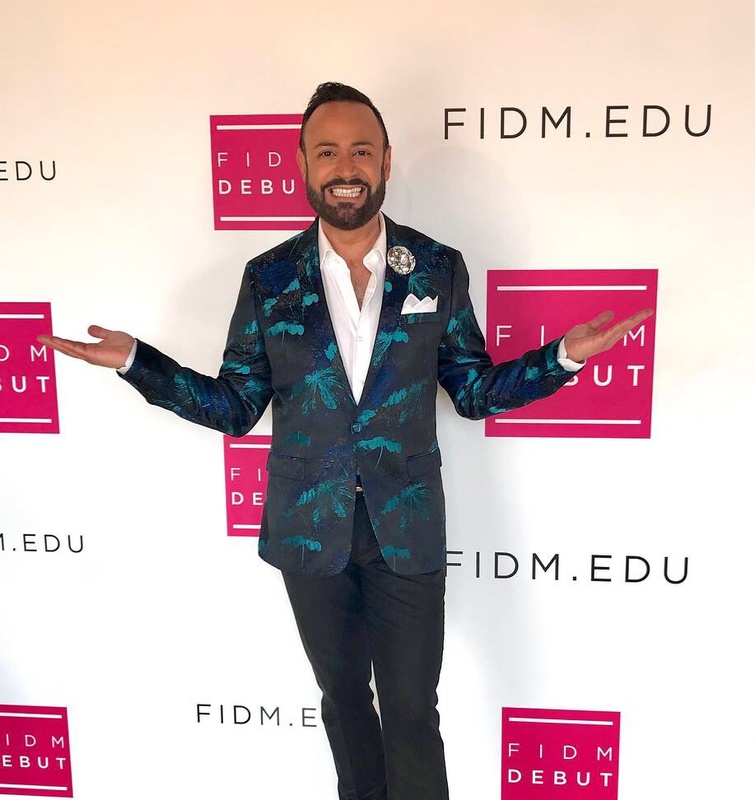 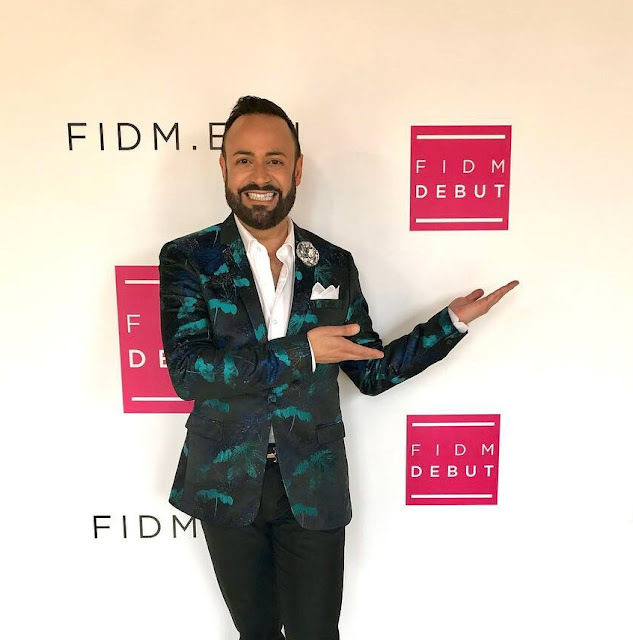 Following this year's FIDM DEBUT show, I had the privilege of meeting-and-greeting anyone who wanted to stop by afterward....in my very own "FIDM DEBUT VIP Tent", located right next to the event at The Barker Hangar in Santa Monica. 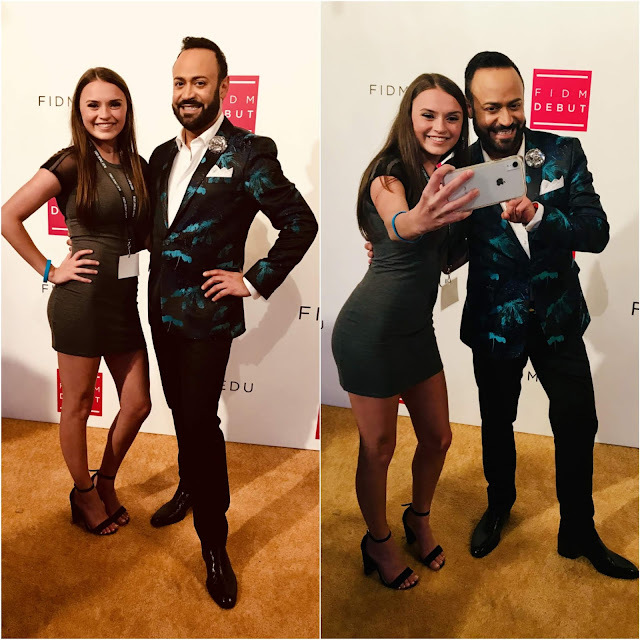 I had a BLAST meeting everyone, taking photos, selfies, group photos and giving LOTS of hugs and fashion double kisses! 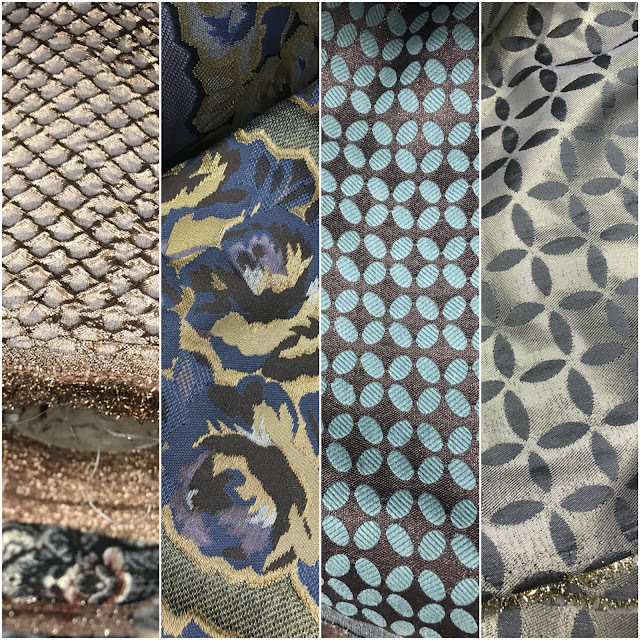 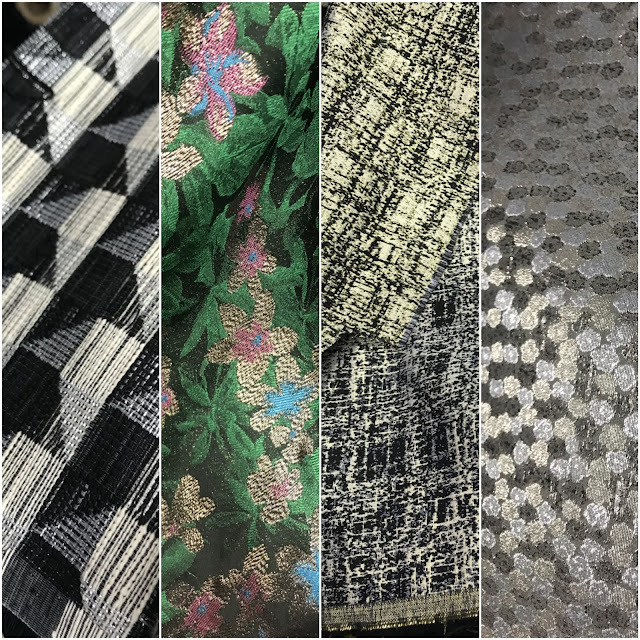 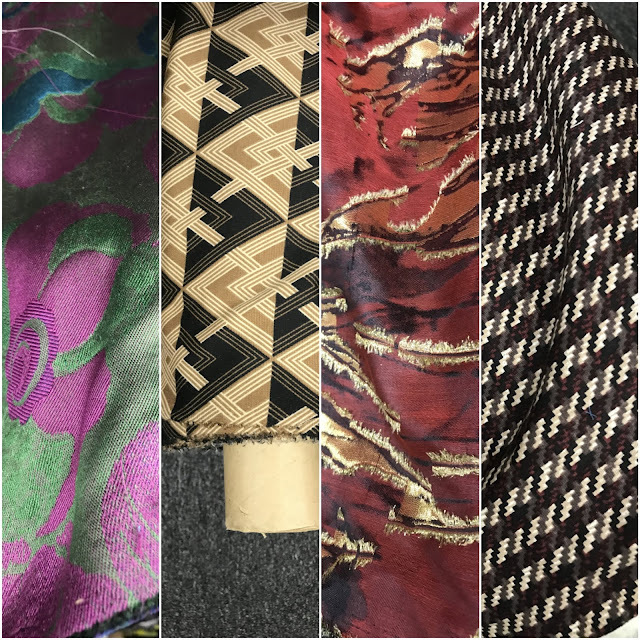 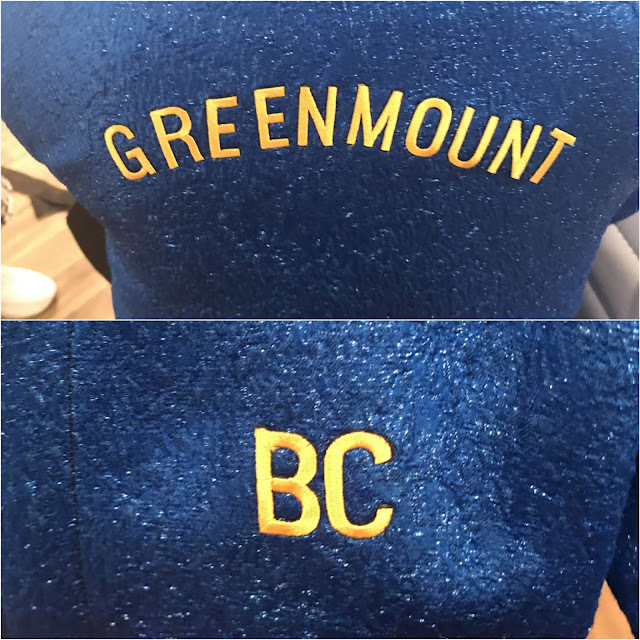 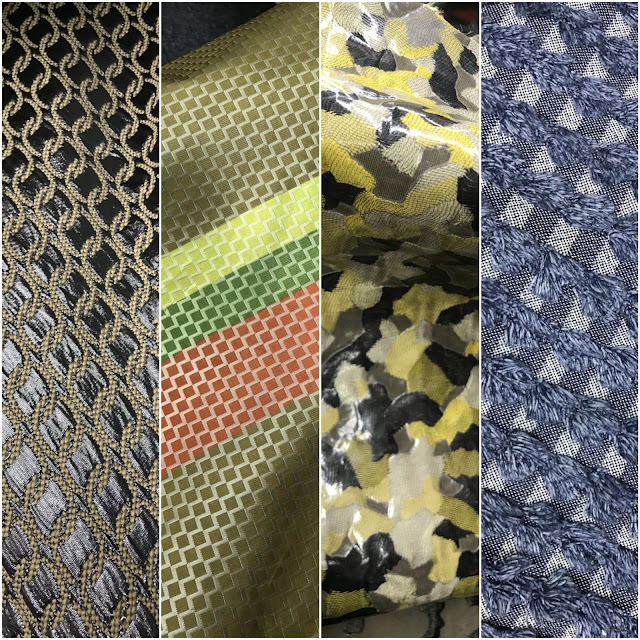 And while the designers were out visiting his famed Harlem Design Studio, I was tasked to find Dapper Dan-inspired fabrics at Mood Fabrics NYC, that they would hopefully use for their designs during the challenge. 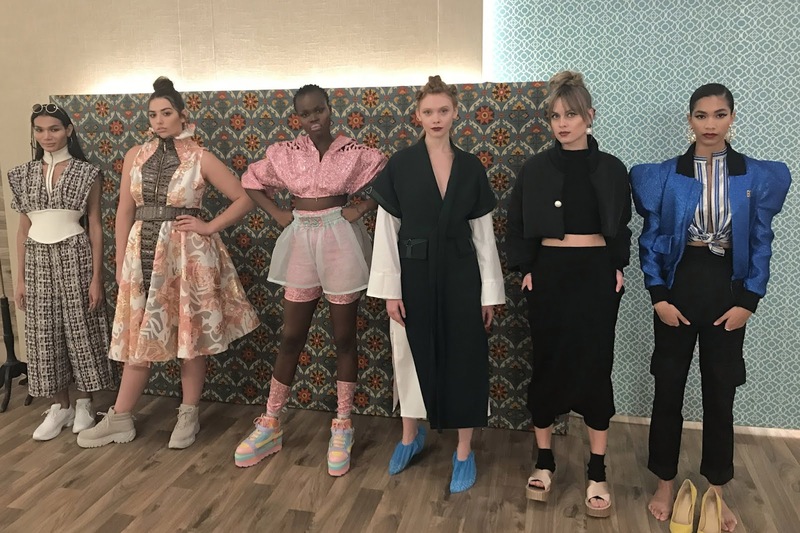 They had to sleep, as well as create their designs there. 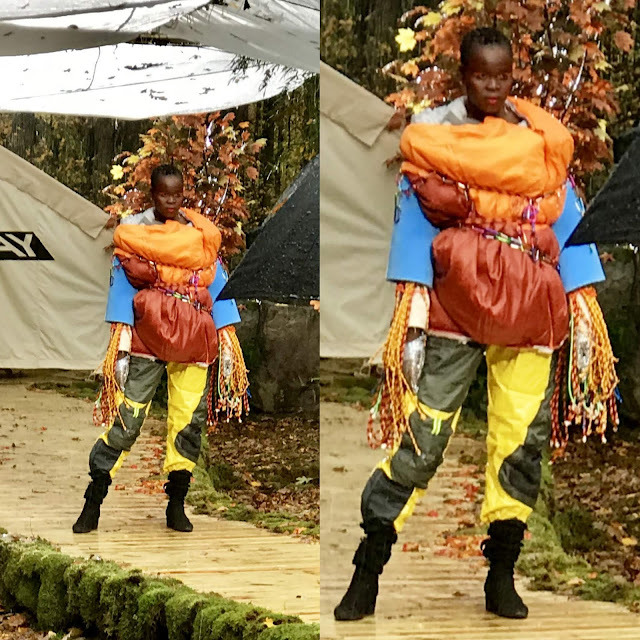 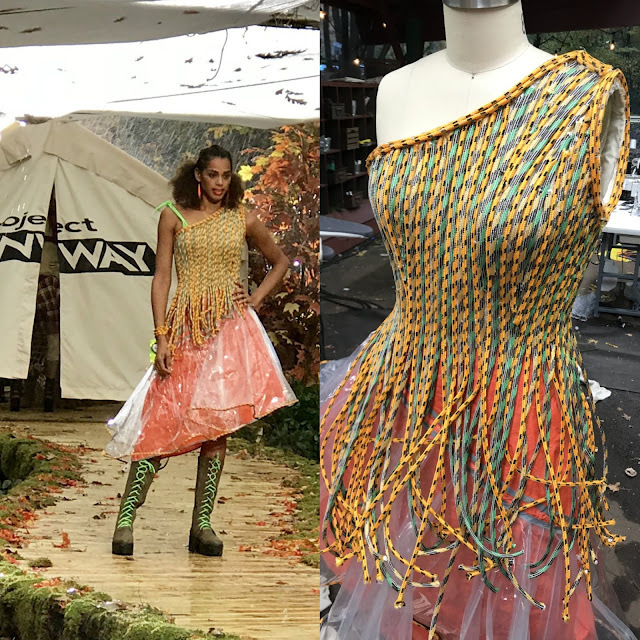 We had a TORRENTIAL rainstorm THE DAY OF the runway show and well, let me just tell you--it was a couple of days that I will never forget! 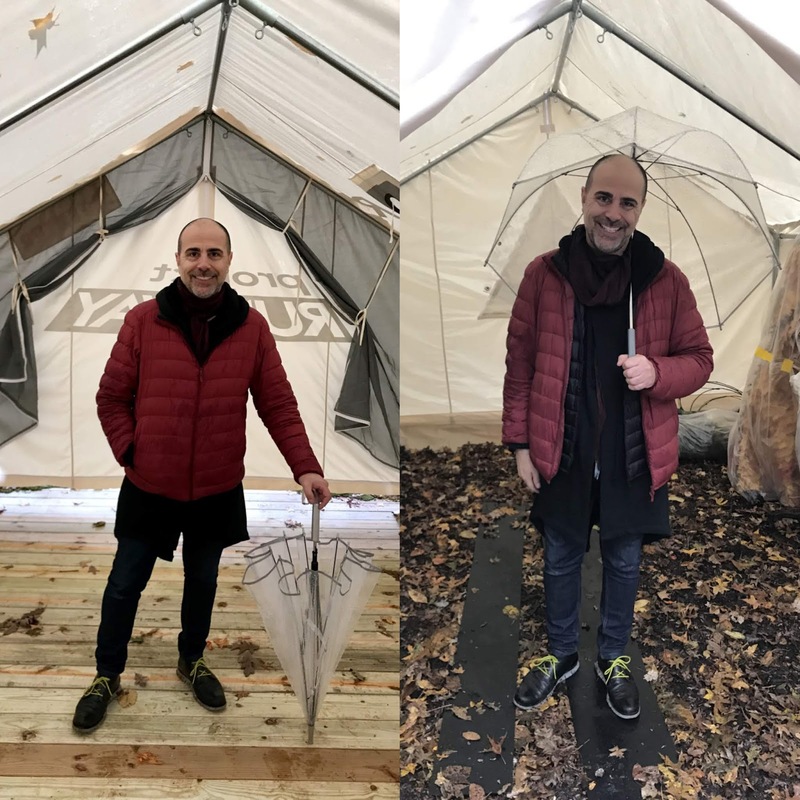 I am NOT a camping sort of fellow but luckily, my better half David Paul was there with me, helping us out with the supplies, camping workroom...as well as loading the designs onto trucks in the rain.....to get to the runway! 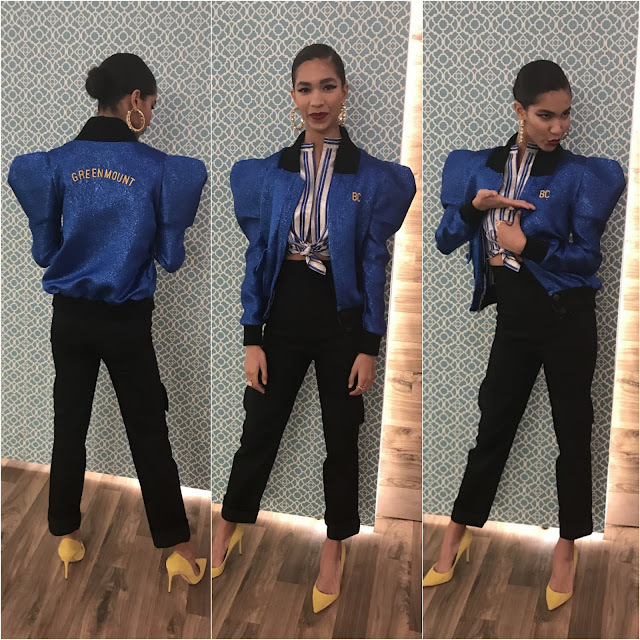 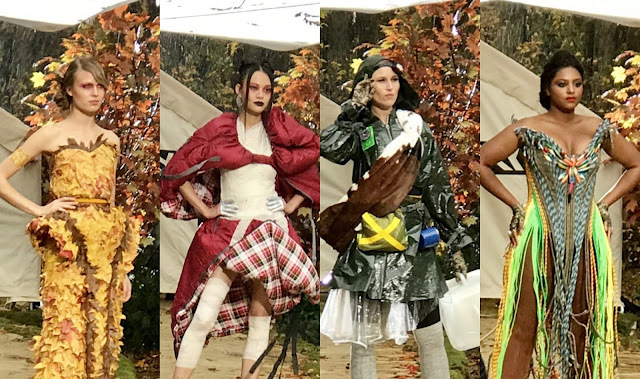 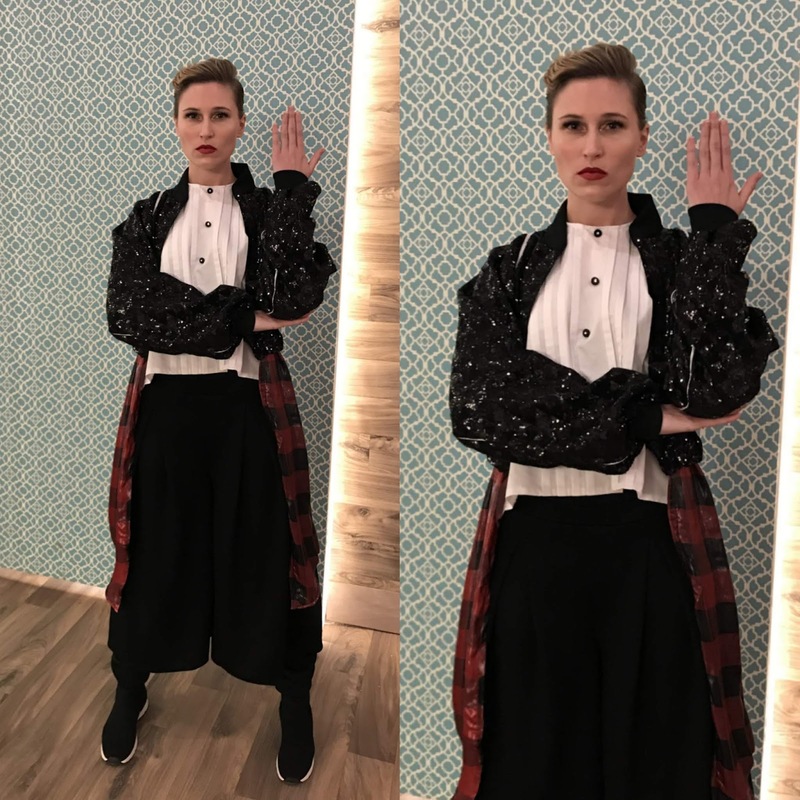 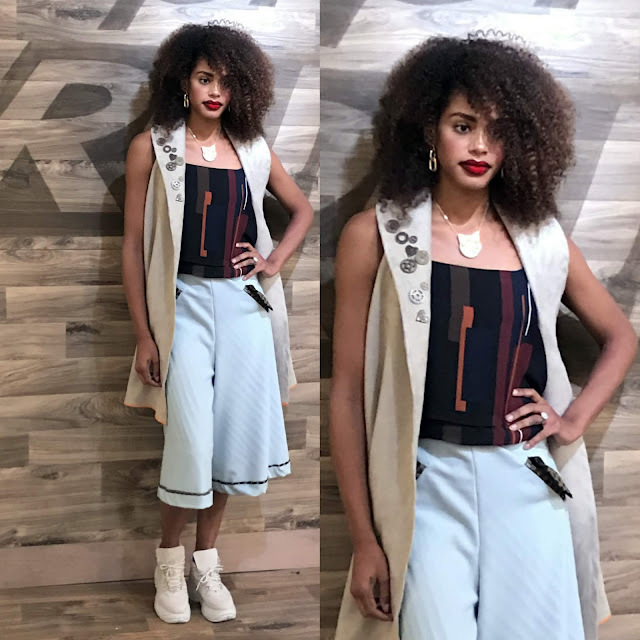 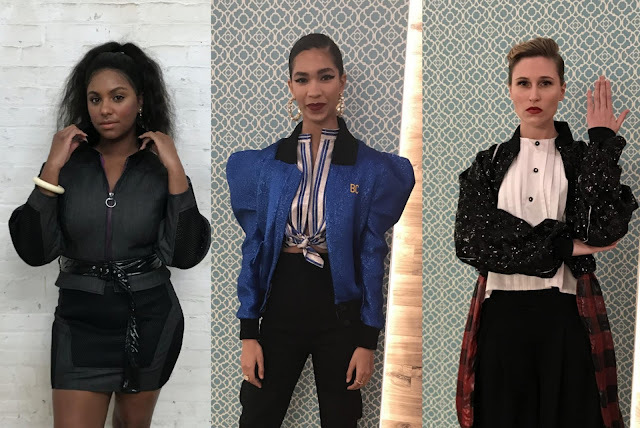 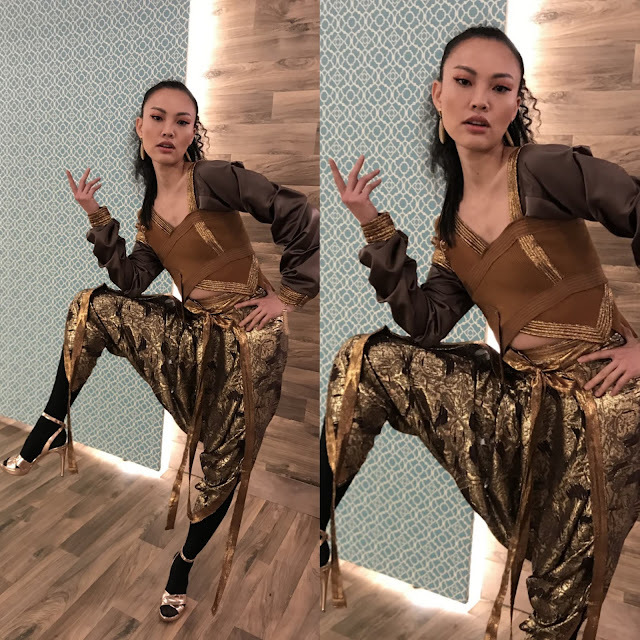 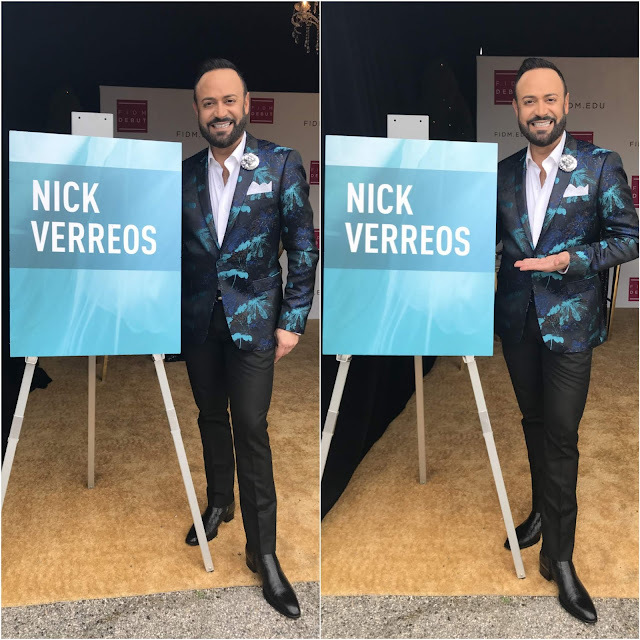 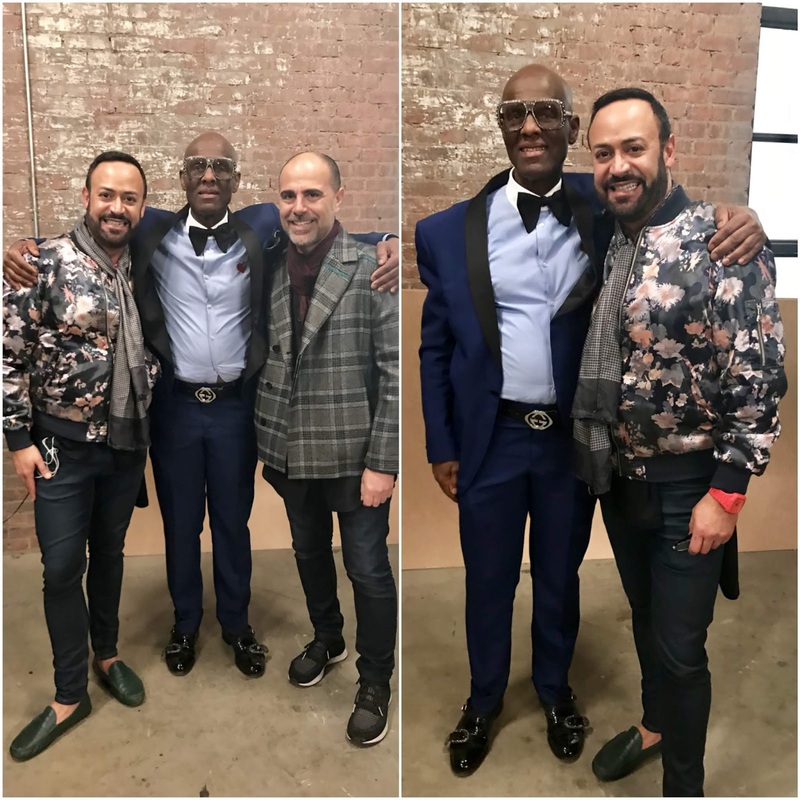 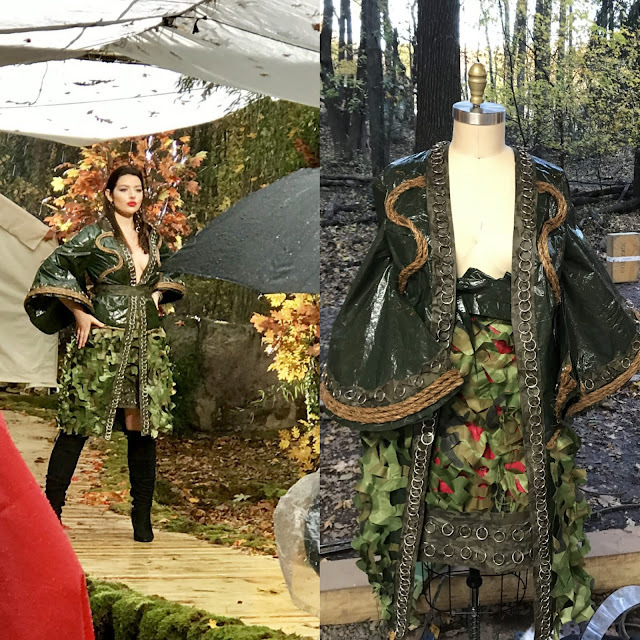 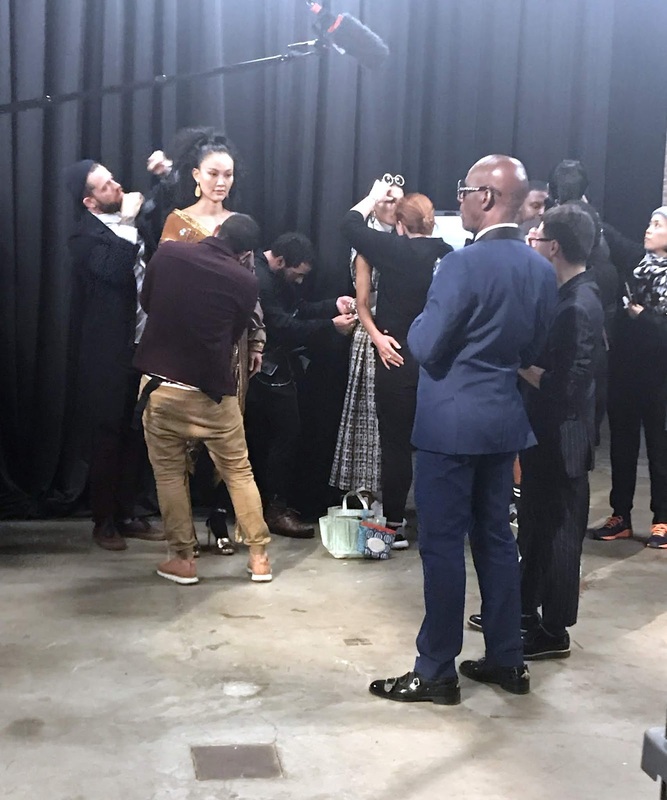 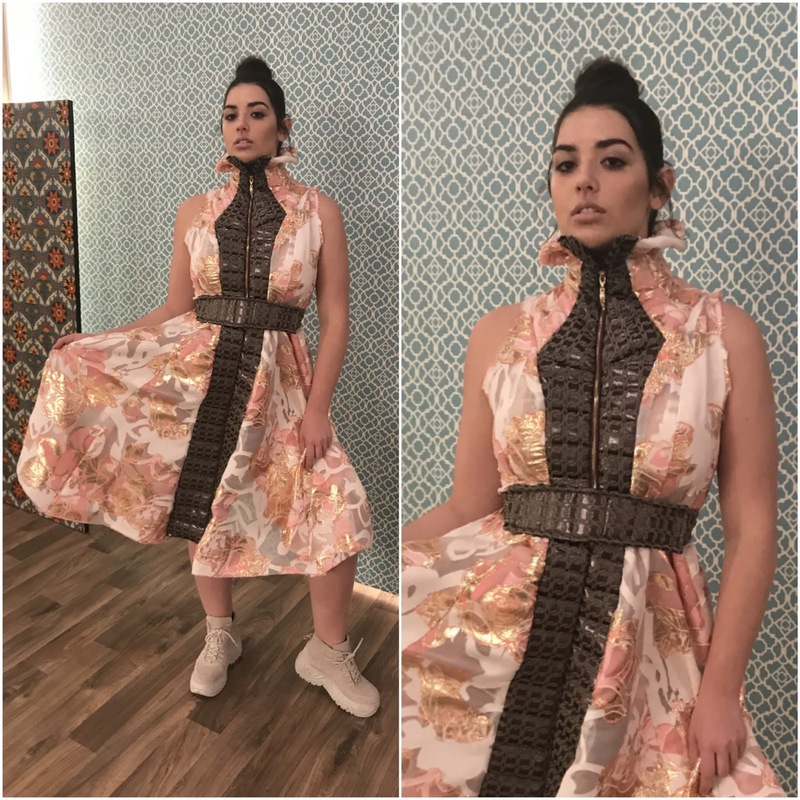 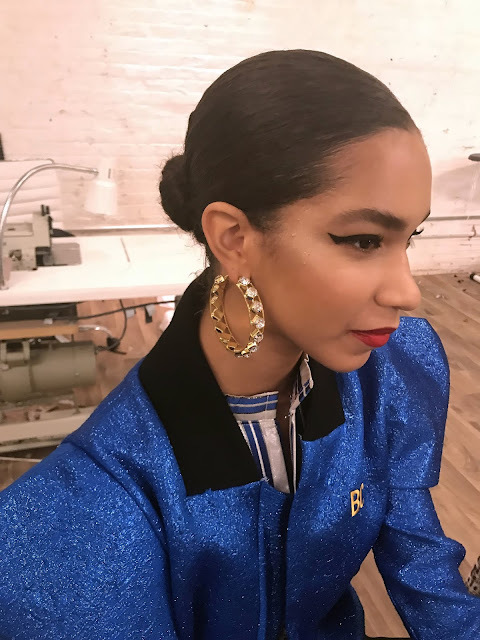 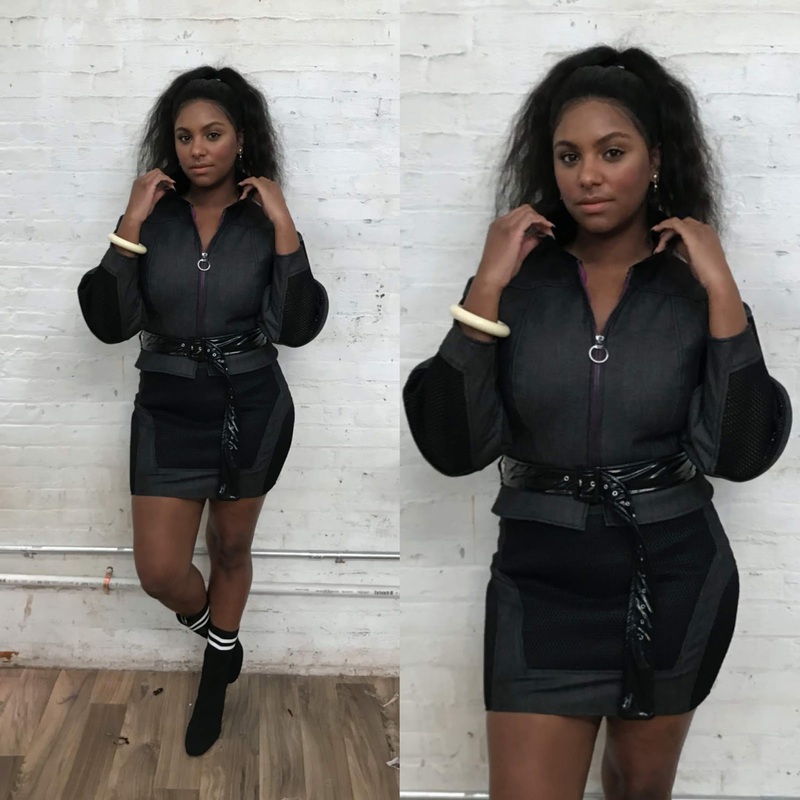 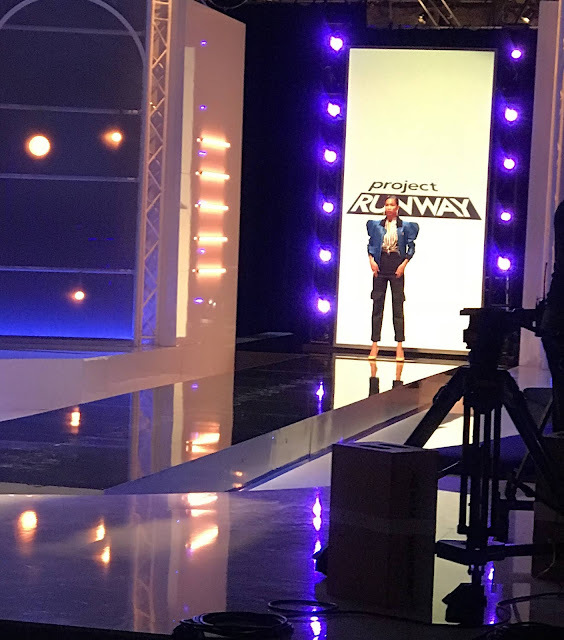 PROJECT RUNWAY.....Project Runway on Bravo--Behind The Scenes BLOG: Episode 2 "The Future of Fashion"
SASHES AND TIARAS.....Miss Universe 2018 Finals: Winner + TOP 10 EVENING GOWN RECAP! 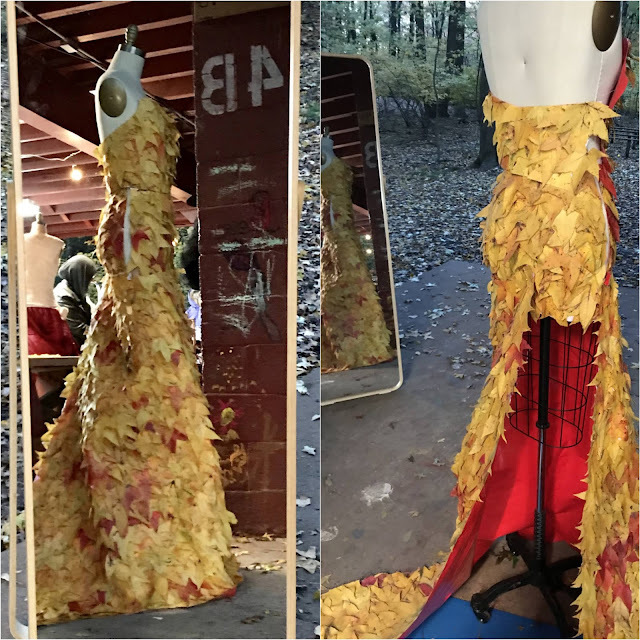 SASHES AND TIARAS.....MISS UNIVERSE 2018 Preliminary Competition: My TOP 20 BEST GOWNS!